Richard Street John 'Jeff' Street become Superintendent at Mansfield Mines Rescue Station. I see you've had enquiries about pit photo’s, have a look at www.picturethepast.org.uk there are thousands of historic images from Nottinghamshire and Derbyshire including lots of mining photo's, most of which can be ordered on line. A good link site. Also a visit to the mining heritage site at Mansfield is well worth a visit. 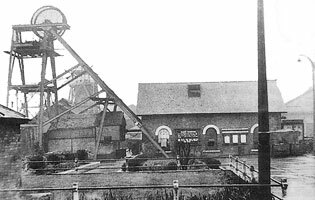 They have hundreds of photographs of every colliery in Britain that was working from 1947, these are viewed by computer screen, you have to make an appointment and give yourself a couple of hours, I’ve been and in two hours looked through just ten Nottinghamshire pits, so I’m going again Monday. The mines rescue stations are also included, well worth a day off work might see someone you know in the photographs. Telephone 01623 638233 or 01623 638235. The address is 200 Litchfield Lane, Berry Hill, Mansfield. They are open Monday to Friday office hours. I started work in 1946 at Shipley coppice colliery my first job was ganging, from then on it was coal face, development, deputy, overman and finally colliery overman. If I had my time over again I would still do the same. I worked with some of the finest men ever. You appear to have left out the Silverwood Disaster of 1966 from the list of disasters. 10 men, including my father, were killed in a paddy mail accident. Subject: John 'Jeff' Street become Superintendent at Mansfield Mines Rescue Station. I came across your site recently, while looking for information about the Creswell disaster of 1950. I thought what a wonderful tribute you are paying to the brave men who worked and sadly sometimes died fuelling our homes and industry. The reason I am contacting you at this time is a totally selfish one on behalf of me and my older brother. -- Our father, John Jeffrey Street (always called Jeff) died on the 3rd March 2005 at the age of 88. He had devoted all his working life to the Coal Industry, clocking up 49 years service before having to retire early through ill health. He started work down the mines around 1930 at the age of 14 and worked at different pits in the Derbyshire / Nottinghamshire coalfields before joining the Mines Rescue service at Mansfield in the late 1940's. He worked his way through the ranks to eventually become the Superintendent at Mansfield Mines Rescue Station. I have several photos of dad, some depicting training issues and others are group photos of the rescue teams he worked with / lead during his life in the Mines Rescue. I also have a list of every call out he attended from 1947 to 1977, listing date, Colliery and nature of the call-out (some including the end result). One further item that has survived is a cutting of an article in the Nottingham evening Post, which was part of a series called "The other mans job". At our father’s funeral on 14th March, we were totally overcome by the site of around a dozen of his old colleagues forming a guard of honour in the entrance to the chapel. They had travelled from all over the country to pay their last respects to a man, boss and friend they had laid their lives on the line with and for. I said at the beginning, that my reasons for contacting you were totally selfish. They are in as much as we would love to have our father and his brave colleagues honoured by inclusion on your website. If you are interested in any of the items I have, please contact me and I will be happy to forward them to you either in digital form or hard copies.